Voice your opinion! Review CheaperPay now. I cannot believe that there is such a good service. 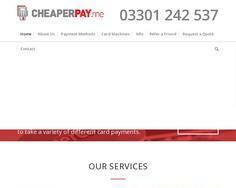 At CheaperPay we specialise in cost effectively setting up businesses in the UK with the ability to take debit & credit card payments.